It’s always a good idea to get a second opinion about wisdom teeth in San Francisco. If you have trouble with wisdom teeth San Francisco it is likely that your dentist would refer you to an oral surgeon. Many general dentists do not specialize in the treatment of wisdom teeth, in much the same way that a surgeon who might remove your appendix may not be qualified in heart surgery or brain surgery. They are completely different specialties. However, even if you have been referred to an oral surgeon regarding wisdom teeth San Francisco it is still a good idea to get a second opinion as there are differences between oral surgeons. 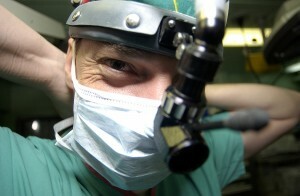 One surgeon might take one view, while another may suggest a different form of treatment. is now regarded highly by others in his profession. Not only does he write specialist papers on various facets of maxillofacial surgery and oral surgery, he is frequently called upon to speak at professional conferences. Trouble with wisdom teeth San Francisco is something that many of us suffer from at some point in our lives, mainly when we are young adults. Dr Rabinovich carries out oral surgery procedures on wisdom teeth on almost a daily basis, so whatever the problem with your wisdom teeth you can be certain that he has seen it and carried out the appropriate procedures on many occasions previously. Although a very busy surgeon, Dr Rabinovich is happy to offer a totally free consult to anyone suffering from problems with wisdom teeth. He takes the view that, when considering any form of oral surgery procedure, patients want and deserve nothing less than the best. Even if your dentist has referred you to another oral surgeon, it makes sense to get a second opinion as to the most appropriate type of treatment. Dr Rabinovich might agree exactly with the opinion of another surgeon, but there is always the possibility that – with the amount of experience he has – he may suggest an alternative form of treatment which another surgeon may not have considered. Dr Rabinovich also offers a number of different payment options for wisdom teeth treatment in San Francisco, including one which charges no interest if paid within 18 months. Of course, it is always possible that your insurance will cover the complete cost of treatment in any case, but you owe it to yourself to look at all the options. Call Dr Rabinovich’s office on (415) 817 9991 or email info@doctorrabinovich.com in order to book your completely free consult. This entry was posted in Blog and tagged oral surgeons, San Francisco, Wisdom Teeth on September 14, 2016 by Dr Alex Rabinovich.